I reviewed both the textbooks used for life science classes at the college where I teach and those that I used in my past university course work. Darwinists try to disprove the argument from design by providing examples of what they claim are poor design. A review of the history of paleoanthropology leads to the conclusion that the discipline is far less objective than that for physics, chemistry, or even biology. A review of some recent well-documented cases of intolerance in the cosmology field illustrates a common problem in science. Many relate to the Big Bang theory. After being exposed to Darwinism in school, H.G. Wells converted from devout Christian to devout Darwinist and spent the rest of his life proselytizing for Darwin and eugenics. It is now recognized that this set of experiments has done more to show that abiogenesis on Earth is not possible than to indicate how it could be possible. One of the most difficult issues related to bird evolution is the evolution of feathers. Feathers are complex, designed structures required for flight, and are today found only on birds. Darwinism misled researchers into developing a harmful set of treatment techniques for certain back conditions. The theory of biological evolution is not a modern idea. 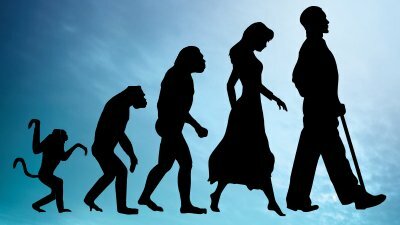 Organic evolution was first taught by the Greeks at least as early as the 7th century BC. A review of the writings of the founders of communism shows that the theory of evolution, especially as taught by Darwin, was critically important in the development of modern communism. A review of the literature on homology indicates that the theory does not provide evidence for evolutionary naturalism, and that the common examples of homology can be better explained by Creation.